One day last week I found myself laying in bed all night unable to fall asleep. Finally at 4:00 AM I gave up and decided to get out of bed, get in the car and take a ride. 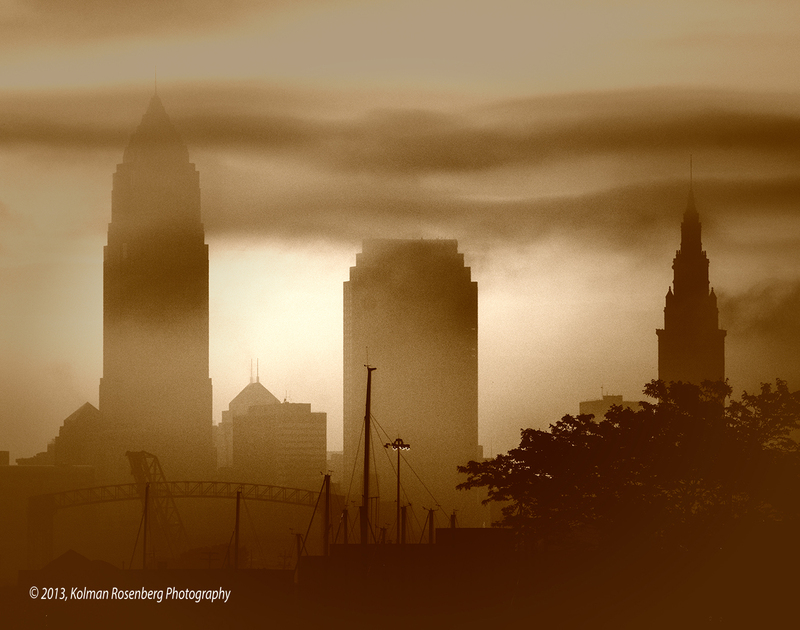 I took my camera gear thinking I might wind up somewhere photo worthy and after stopping for coffee and a couple of doughnuts I decided to head into Cleveland and try to photograph the sunrise from Edgewater Park on the west side of the city. It’s quite a distance to the city skyline from the fishing pier at Edgewater Park, so I mounted a Tamron 200-500 mm lens on the camera, mounted it all on a tripod and waited. While waiting I shot jets and seagulls flying over, the sky was already light and light blue. I finally got some nice shots as clouds moved by and past the tall downtown office buildings. The shot above also has some creative effects which added to the warm orange glow and the dark clouds and foreground. I always try to look around me when shooting. A lesson I always teach in my classes as well. 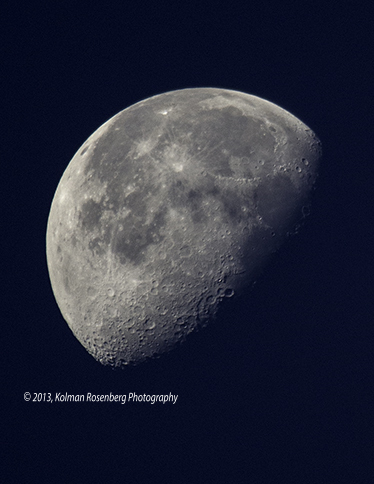 While doing so I noticed a nice clear moon behind me and decided to take a few shots, even though it was daylight. I hadn’t gotten any super moon shots the week before and hadn’t done any of the moon in quite awhile so thought while I had the 200-500 on the camera, why not? Well, unknowingly at first, I was amazed! When I looked at the tiny thumbnail of the moon on the cameras LCD screen I didn’t think much of it. I shot it at a number of exposures starting with the real look of daylight and light blue sky and gradually darkening my exposures to be able to see the features of the face of the moon. I finally came to this image, darkened considerably, and enlarged it on the LCD screen. Wow! I suddenly saw incredible detail and knew my morning had been successful. I could wait to get home, download and see this photo on the computer monitor! I was not disappointed, the detail I had captured was breathtaking! It looked like something from NASA. I hope you like it as much as I do. This entry was posted in Uncategorized and tagged building, Cleveland, edgewater, moon, NASA, OH, ohio, park, sky, skyline. Bookmark the permalink. The skyline photo is a beautiful composition!! Very nice work! Thank you John Earl! Coming from you that means a great deal to me! Thanks Patricia! Like I said, it’s always a good idea to look around! I’ve had a number of good photos come about that way when shooting something else! What a great way to end a sleepless night! Kolman, the next time I can’t sleep, I should follow your example — get into the car and find the inspiration that’s waiting for me out in the world! LOL, I might make it a habit too Lenore. Never done that before and in fact haven’t gotten up that early for a picture in about 30 years!